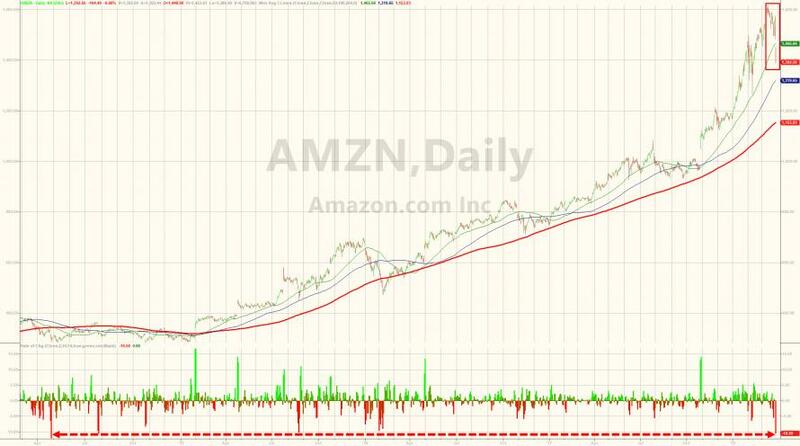 Amazon shares are down 7% today and almost 11% in the last two days, breaking below its 50DMA, amid a broad tech unwind contagion and growing concerns about government crackdowns from "obsessed" Trump. 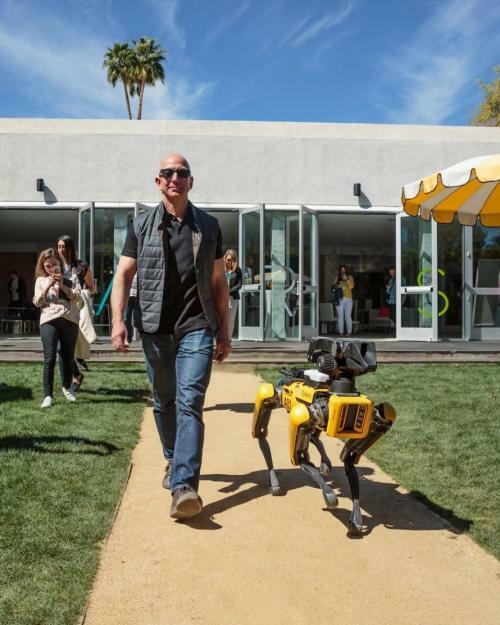 The reason is that according to Axios, it is not Facebook that Trump wants to go after, but rather Amazon: “He’s obsessed with Amazon,” a source said. “Obsessed.” According to the anonymous sources, Trump has allegedly talked about changing Amazon’s tax treatment because he’s worried about mom-and-pop retailers being put out of business. To be sure, speculation like this is hardly new, and reemerges periodically, although today it comes at a sensitive time for the tech sector, and Amazon in particular. 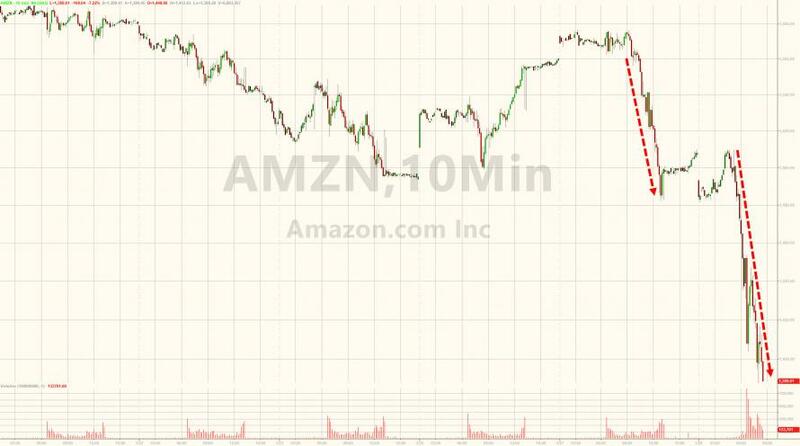 As Stifel analyst Scott Devitt pointed out today, Amazon's shares are sinking after an earlier Axios report suggested that President Trump may not like the company, yet "we already know this based on numerous tweets on the topic by the president." 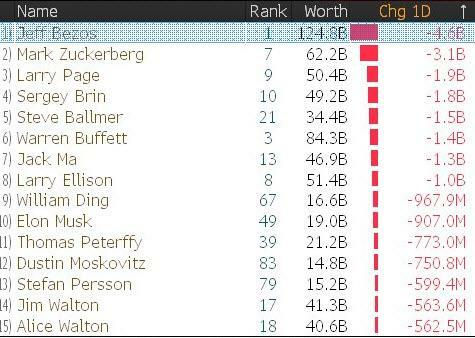 And all that means that Jeff Bezos has lost over $13 billion in net worth in the last two days.